Last week: Nailed It – Not much to say except it was an east to northeast wind all weekend. Today: Well it’s been good out of the north for the northern half of the shorline today. However, for from Muskegon to Holland it should shift NNW mid afternoon and be side shore with winds in the 20 knot range. This will continue until early evening when it will shift back side offshore and come down. Saturday: Head north! From Little sable point all the way up the shoreline it is going to blow out of the SW to 20 knots mid to late afternoon. Some good spots will be Ludington Sterns Park to Big Sable Pt, Frankfort and Manistee 5th ave beach as long as it is more SW than SSW. 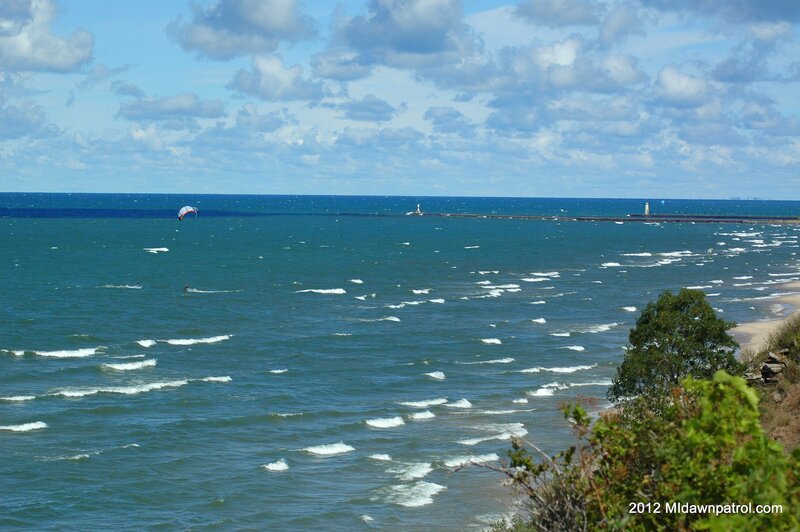 Frankfort to Pt Betsie will be the windiest. Sunday: Another day of SW wind, but this time for the entire lakeshore. It should be in the 15 to 20 knot range for the entire shoreline all afternoon. The offshore bouys are still showing water temperatures in the low 40’s, I am hoping that a SW wind push will bring some warmer surface water back in close to the shoreline. I am not ready to start wearing a 6-5-4.